Our rundown of some current styling accents to enhance your bathroom while reflecting your very own taste and style. The good news is, it's out with the austere starkness of minimalism and in with luxurious, glamorous personal touches. 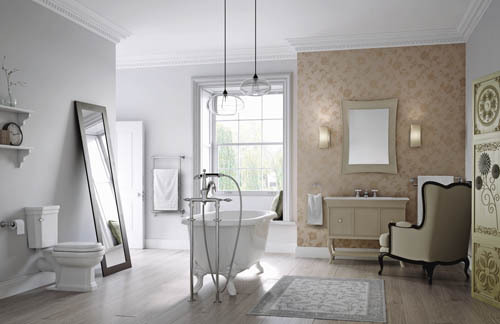 Whilst luxurious walk-in showers and wetroom areas are continuing to be a popular choice, there is also a call for more indulgent bathing – with freestanding options a key trend. The sleek beauty of the showering area strikes a contrast with the more ornate and opulent feel of these more glamorous baths, providing the very best of both worlds – modern functionality plus a little bit of decadent luxury. Meet Marsala, Pantone Colour of the year 2015, which they say is 'a naturally robust and earthy wine red'. This hearty, yet stylish tone is equally appealing to men and women says Pantone, and translates easily to home furnishings and interiors. A matte finish highlights Marsala's organic nature while adding a sheen conveys a completely different message of glamour and luxury. Marsala is dramatic, rich and full-bodied bringing colour and warmth into home interiors. A common sight for the past decade, vanity units with basins will still be popular this year, but we're now seeing a return to elegant Victorian-style basins with feature legs. 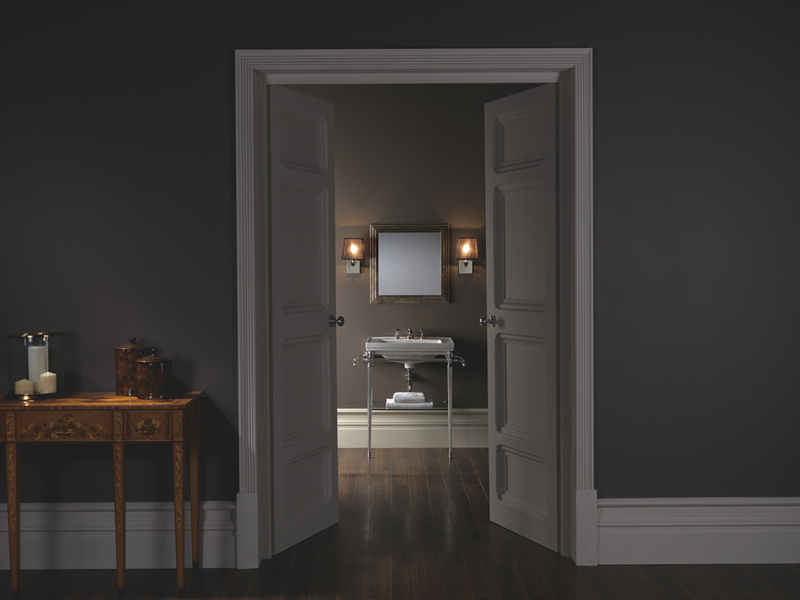 Charmingly old-fashioned, their style also helps to give the appearance of more space and can be used effectively in contemporary or traditionally styled bathrooms. If the space permits, and as masculine products take up an increasing amount of space in the bathroom, we'll see the insurgence of twin basins within the bathroom. Expect to see more furniture and furnishings generally in the bathroom as the trend away from the clean, uncluttered lines of minimalism continues. Look out for ostentatious touches, such as the full-on use of dressing tables, shelves, bookcases, armchairs, and even wallpaper, to add a little character and style. All these elements combine to create a cosy haven, more akin to a living room or boudoir. Say goodbye to those gleaming white metro tiles we've been seeing for the past five years. 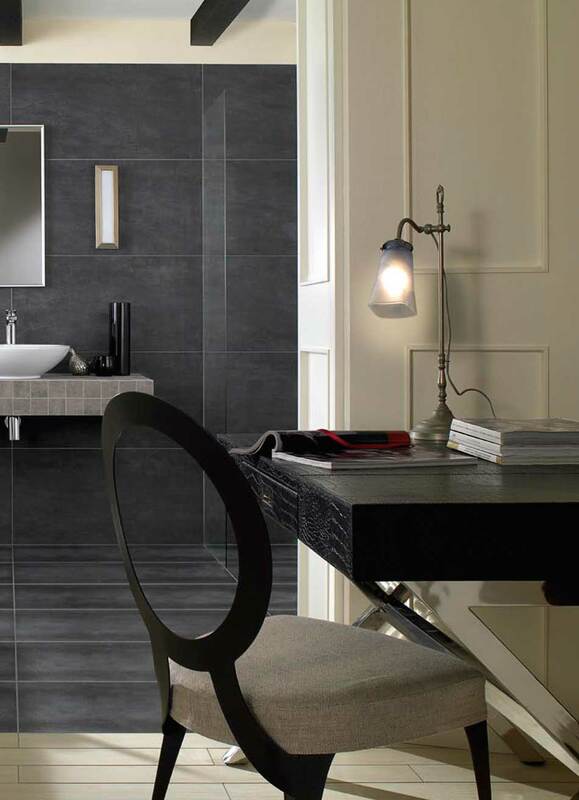 Grey has taken over as the main colour choice, particularly for sleek wetrooms and ensuites – with natural, stone effect options in different shapes and sizes adding texture and warmth. This combination is a good background for any accent colour; so the use of coral and mauve will help achieve an elegant yet refined look. Create a sense of space with shiny metallics and gleaming, reflective surfaces. The bathroom has now adopted the popular interior trend of mixing old with new, so you'll see finishes such as brass, chrome and copper being used. Hiding useful storage behind full-length mirrors, or mirror-fronted cabinets is an ideal solution especially if you're on a budget and can't really afford a huge bathroom revamp, but would like an instant and easy quick-fix. Gone are the days of stepping into a freezing cold shower and having to wait for it to warm up. The latest generation of clever remote control systems and mobile apps let you turn your shower on at the touch of a button from the comfort of your bedroom. You can also set the control to your favourite showering temperature, so when you step in, everything is perfect and no more nasty cold shocks! The continued focus on dramatic mood effects means the appearance of more pendant lights, chandeliers and ultra-chic hidden lighting using LEDs. All of these options are a great way of accentuating architectural features and providing striking focal points.